I remember learning to knit too - I always seemed to be rugged up in my dressing gown around the fire. 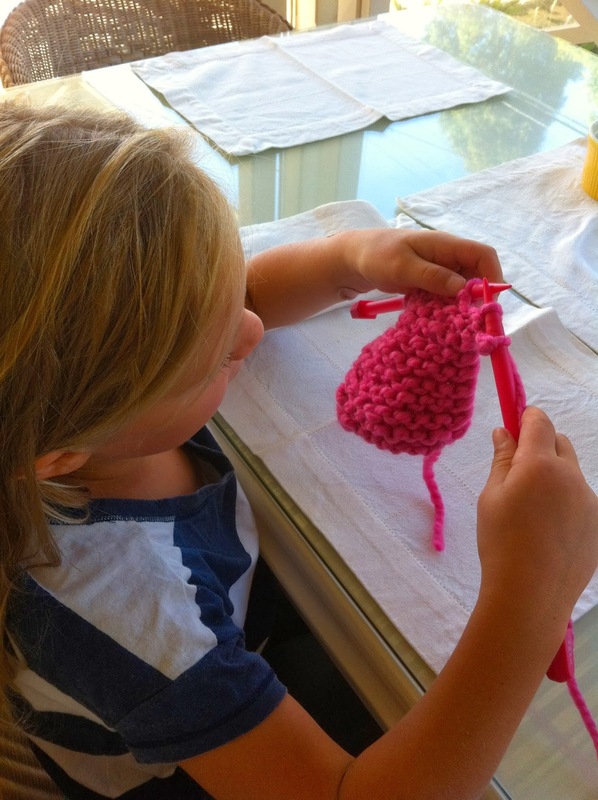 Do you remember learning to knit Jen? Its a wonderful memory isn't it. oh..such fun coloured yarn and needles, no wonder she wants to knit. She's doing really well. I can clearly remember my little nanny Boardman teaching me to knit. (Sounds a bit like something out of Cider with Rosie) Happy memory...one that you'll always treasure. Learning to knit and to cook is such a lovely bonding experience.